He has successfully broken all possible myths that keep floating in the film industry. He can't boast of conventional good looks but his two left feet have never come in the way of climbing the ladder of success. He stands tall and in his own way guarantees success at the box office — the name is Ajay Devgn. Devgn's next release Raid is slated to hit theatres this week and is set to showcase the actor, yet again, in a persona that he is loved for – brooding, serious and intense. His presence is often blindsided by the ubiquitous Khans but a career that spans more than two decades only proves that he simply cannot be ignored. In recent times, after the money spinner Singham and the praise worthy Drishyam, the actor is all set to step in a territory he is most familiar and comfortable with Intense and melancholic roles that have helped Ajay Devgn carved a niche in the industry will be at the fore once again this week with Raj Kumar Gupta’s Raid. 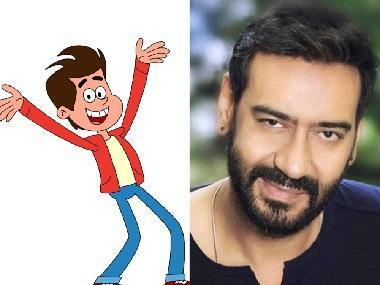 Despite the money spinner Golmaal series, Son of Sardar or Bol Bachchan, Ajay is best known for films which has has him in serious roles. The success of his brooding roles have often spilled over to his real life. Most people often visualise Ajay Devgn as someone who is intense. But people who know him closely will vouch that his real persona is a far cry from what he is made out to be. The actor is rather infamous for his pranks, which he often plays on his co-stars, publicists and journalists in equal measure. One of his pranks even made a film’s publicist spent few hours behind bars while shooting at an outdoor location! In real life Ajay remains anything but brooding and intense. He's someone who has his head firmly on his shoulders, is measured in his decisions and firmly believes in having a hearty laugh. Prakash Jha had once remarked that Ajay’s understanding of life is great, and that's what makes him easily slip into a variety of roles. When it comes to his filmography, it’s often films that portrayed him in a serious avatar that people remember the most. Films like Zakhm, Gangaajal, Aparahan, Omkara, Raajneeti, Singham, and Drishyam have time and again reinforced the belief that Ajay sans a smile results in producers laughing all the way to their bank. For someone who made his debut in the early 90s, the launch vehicle of Ajay Devgn was an aberration. This was also an era when the launch film of an actor used to be more of a packaged show. It was given and expected that newcomers could sing, dance, fight and crack jokes in equal measure. Ajay debut vehicle Phool Aur Kaante sailed against traditional norms. Though the film showcased his action potential, it hinged more on his inherent acting talent. Post the success of Phool Aur Kaante, Ajay kept delivering flops and hits in equal measure but the tag of an actor eluded him. When Mahesh Bhatt’s last directorial venture Zakhm released, things took a U turn in Ajay’s career. Besides helping him fetch his debut National Award, it also helped him get the elusive tag of an actor. With the release of Hum Dil De Chuke Sanam, which came a year after Zakhm, his serious persona was a winner all the way. Though Zakhm set the ball rolling, it was only after the success of HDDCS and Kachche Dhaage that filmmakers started visualising Ajay in serious and slightly highbrow roles. Filmmakers like Prakash Jha and Ram Gopal Varma reaped maximum dividend out of this. While Prakash Jha’s Gangaajal and Apaharan took Ajay's new persona a step further, Ram Gopal Varma, with Company and Bhoot, ensured that melancholic roles became the hallmark of Ajay’s success. Directors like Vishal Bhardwaj, Rajkumar Santoshi and more recently Rohit Shetty too have made sure that this aspect of Ajay’s histrionic was kept alive and served to audiences at regular intervals. The versatility of an actor is determined by how many genres he attempts. Ajay Devgn comes out with flying colors when measured through this prism. A look at Ajay’s filmography will reveal that in the contemporary era, he remains one of the only actors who has dabbled in most genres. Be it rom-com, comedy, action, thriller, horror, drama, and caper dramas both heist and comedy – he has done it all and they only fortify his versatility. However, the two National Awards that he fetched for Zakhm and The Legend of Bhagat Singh is proof that when it comes to popular taste and performance, a serious Ajay Devgn remains a hands-down winner. Zakhm, The Legend of Bhagat Singh, Company, Deewangee, Singham, Gangaajal and OUATIM were few films that fetched him awards. Not a single movie that exploited his other shades have helped him fetch awards or nominations, despite their commercial success. 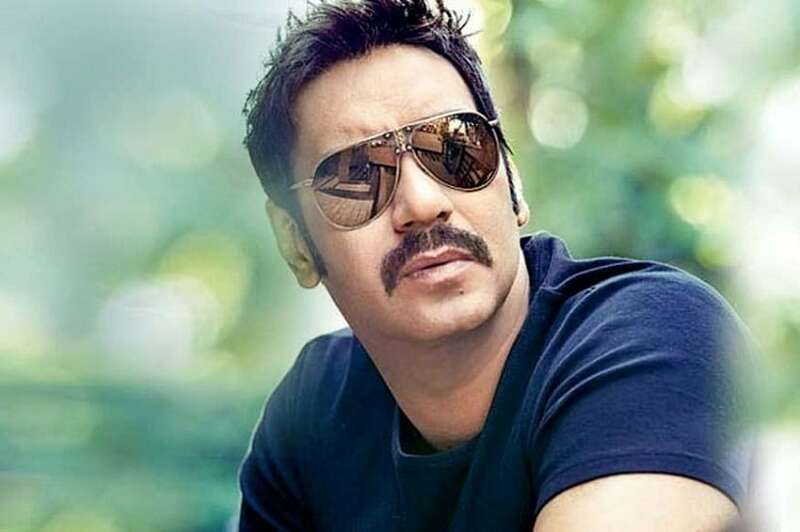 Ajay seems to have figured out his strengths, and therefore the release of Golmaal or Bol Bachchan or his upcoming Total Dhamaal is often interspersed with Singham or Raid. While answering questions during the promotion of Raid, Ajay had remarked that it’s not about getting stereotyped. “It’s about myself and not what others think about me.” Guess that’s the secret.